In recent mainstream media reports there has been a focus on the appalling racist chants of a group of a group of Chelsea fans; this story has an employment focus as at least one Chelsea fan, finance worker Josh Parsons, has now been suspended from his work in the aftermath of the incident. Time will tell what the outcome will be but it is certainly the case that an employee’s conduct outside of the workplace may justify dismissal if this would harm the reputation of the employer. In fact, in another football related case, Post Office v Liddiard  EWCA Civ 940, the Court of Appeal determined that it was fair for an employer to take into account negative press coverage in making a decision to dismiss. In Liddiard the claimant was a convicted football hooligan (convicted in France) following an England v Tunisia game in Marseilles. The claimant’s actions attracted press attention with even the Prime Minister making comments applying pressure on his employer (the Post Office) to dismiss the claimant. But in recent weeks there has been a more important interesting football related case that involves the well-known former Chelsea player, and Leeds United manager Dennis Wise. 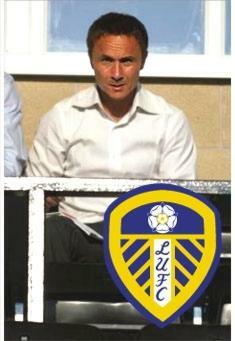 Gwyn Williams was a Leeds United finance director who joined in 2006. In 2008, he sent obscene ‘joke’ emails to three colleagues: Dennis Wise, Gus Poyet and a LUFC receptionist. There was no complaint about the emails from any of the three recipients. Under his contract Williams was entitled to 12 months notice of termination of contract and his employer gave this on 23 July 2013. However, after this notice had been given the employer became aware of the earlier emails and dismissed Williams for gross misconduct, meaning Leeds United could avoid paying the close to £250,000 in notice pay it would otherwise have been able liable to pay Williams. Williams then lodged a claim for wrongful termination of his contract of employment in the High Court and losses arising from the which was close to a quarter of a million pounds (but interestingly, did not make a separate claim of unfair dismissal – which may have had a different outcome had he done so since the case would then not have been one of contract alone). Applying Boston Deep Sea Fishing and Ice Company v Ansell  39 Ch.D. 339 as the Court of Appeal here did, I do not think there is any doubt that the decision on wrongful dismissal grounds was legally correct. Boston, a case I recall from my brief period studying contract law, sets out that a wronged party is entitled to treat a contract as having been repudiated even if they only become aware of the repudiatory actions a considerable time after the event so long so long. A central feature of this case however was the employer’s defense that the claimant’s actions would bring the employer into disrepute and that this is what justified the termination. As I have said I think the caselaw is decisive in respect of the the wrongful dismissal case – even though subsequent conduct of Williams was good the employer was unaware of the breach and so could not be said to have affirmed the contract. Nonetheless, the decision does make me a little uneasy. I’ll go out on a limb and say I am not convinced believe that the chance to use the breach as a ground to save Leeds United a couple of hundred thousand quid was not a substantial factor in why Leeds United dismissed Williams for an offense that took place five years previous. After all, Leeds United justified their dismissal on risk to public reputation when there had been no exposure or harm to their reputation but, as a result of their action, that precise reputational negative coverage ensued. And here, perhaps, Williams would have been better served by making an unfair dismissal claim as well. In Refund Rentals Ltd v McDermott  IRLR 59 set out that it will be only in the exceptional case that a dismissal for conduct that took place a significant time previously. Likewise, in a case where a trade union was the employer, Associated Society of Locomotive Engineers and Firemen v Brady  IRLR 576 ET, a dismissal on misconduct grounds when the determining factor was the claimant’s belonging to a particular political faction of the union. Likewise, if Williams could show that the chance of saving the employer a significant sum then he may have had an arguable case for unfair dismissal, notwithstanding the wrongful dismissal claim.